Join this exclusive tour through some of England’s Best – Iconic Architecture, Historic Homes and Gardens. Highlights include two full days in the UNESCO World Heritage City of Bath including a boat cruise on the River Avon and Afternoon Tea at the historic Pump Room. Explore the famous RHS Chelsea Flower Show. Visit the homes of William Morris, Winston Churchill and Virginia Woolf. See the work of architects and designers from different eras. 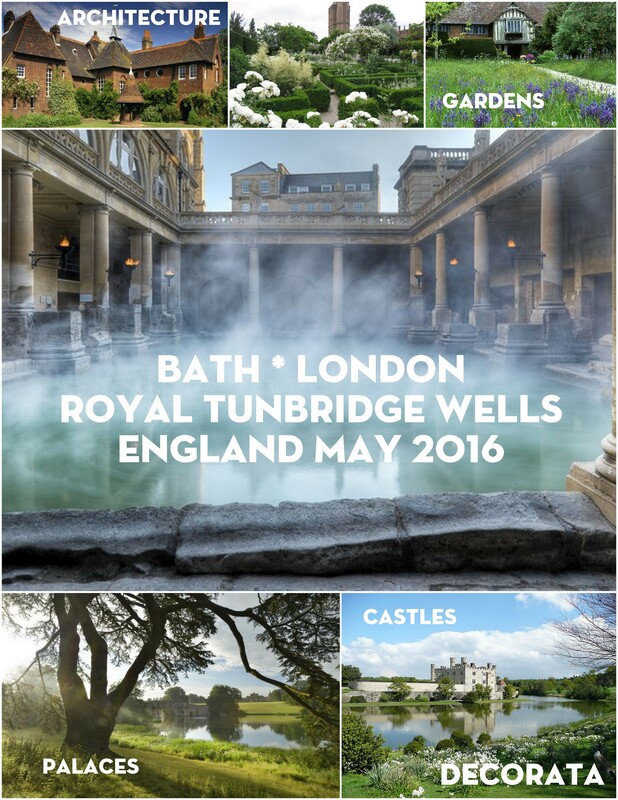 Cottages, castles, royal palaces and other architectural gems viewed with a Blue Badge guide throughout the Tour. I have been so fortunate to have travelled as much as I have and share some of my photos of those trips here….